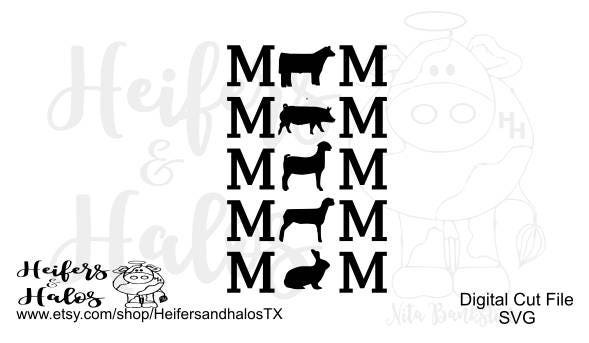 Show mom svg cut file, livestock show, FFA, 4H, for t-shirts, decals, and yeti cups. Use with silhouette and cricut. I love this but I wish I could ungroup them to change colors, etc. or just use them one by one.